5 Step System Helps Senior Citizens & Families Navigate Complexities of Moving. As the population ages, more and more senior citizens and their caregiver families are faced with the challenges of “downsizing”: usually a move for the elder from the traditional family home into a smaller apartment or an assisted living community. 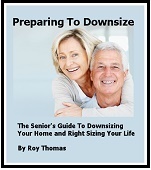 To help Halifax seniors and their families accomplish this life transition with the most ease, I am offering a special guide entitled "Downsizing Made Easy". This guide explains in depth the 5 Steps to Downsizing Made Easy. If you have lived in your family home for years or even decades, downsizing and moving can certainly seem overwhelming, but this guide is your first step to starting the process. 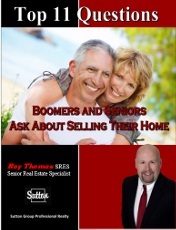 This report outlines the Top 11 Questions Boomers & Seniors Ask About Selling Their Home. If you are like many of my clients you have lived in your current home for decades. It’s been a long time since you’ve sold a home. Perhaps this is the only home you have ever owned and you’ve never been thru the home selling process. It’s completely normal that you would be feeling some apprehension about the process and have lots of questions. 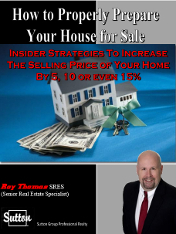 Insider Strategies to Increase The Selling Price Of Your Home By 5%, 10% or even 15%. Because your home may well be your largest asset, selling it is probably one of the most important decisions you will make in your life. And once you have made that decision, you'll want to sell your home for the highest price in the shortest time possible without compromising your sanity. Before you place your home on the market, here's a way to help you to be as prepared as possible. To assist you I have prepared a new eBook entitled "How To Properly Prepare Your Home For Sale" It tackles the important issues you need to know to make your home competitive in today's tough, aggressive marketplace. Through this eBook, you will discover insider strategies that can help you increase the potential selling price by as much as 5%, 10% or even 15%! Buyers will be comparing your home to all the other homes for sale. The best prepared homes will sell the quickest and command the highest prices. Having your home properly prepared will enable you to maximize your return. This eBook lays out a step by step process and shows you what to do to ensure your home is in the best possible condition the day it hits the market. 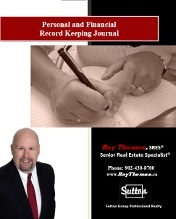 The Personal and Financial Record Keeping Journal is a record of vital information for you, your family, your lawyer, personal representative and executor. We live in a complicated world where lack of records can result in confusion and expense. Should you or your spouse pass away or suddenly become incapacitated, would your loved ones know where to find the personal and financial information they would need to step in and handle your affairs? This Personal and Financial record Keeping Journal is an simple and straight forward document that allows you and your spouse to record all necessary information in one convenient place so that your family and representatives can easily step in to handle your affairs. 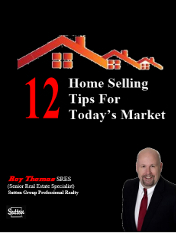 12 Selling Tips In Today's Market. Every year, a crop of new homes hits the Halifax real estate market, ready for buyers to review and hopefully buy. Some buyers who look at these homes are new to the buying scene, but others have been looking at houses over the past months and are happy to see some new inventory to look at. Your goal as a seller is to make your home "the one" that buyers new and old have been waiting to find. Here are 12 home selling tips that can help you make your home stand out and put a SOLD sign on your lawn. Effectively selling your home is partly about your house itself but the market, your agent, and the price impacts the results as well. 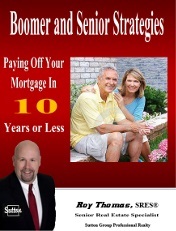 Boomer & Senior Strategies for Paying Off Your Mortgage in 10 Years or Less. Ask yourself one simple question: How would your life be better if you were completely mortgage free? If you answered yes to even one of these questions, you owe it to yourself to read this eBook. In this eBook I've listed 14 highly effective strategies that you can immediately start to use to reduce your mortgage. I'll show you how even small amounts of money can be applied to your mortgage to save your thousands of dollars in interest and shave years off the time remaining.